My friend Les treated me to a fancy wine tasting in 1992, back when Drew Nieporent was running a restaurant called Montrachet in Tribeca. When I say fancy, I mean it, because admission to this event was $1,195.00 per head. The evening was run by Daniel Johnnes, who had started as Drew’s sommelier and was now opening a wine importing business. Tonight he was pouring top-o’-the-line Burgundies, wines most of us would never have a chance to taste because bottles at this level were so horrifically expensive –not to mention rare. There were twenty of us, mostly men, seated at a long table in a secluded corner of the restaurant. Before each place had been set a dozen, sparkling glasses. The evening began with a white Chassagne-Montrachet from Niellon, a top producer, and you knew immediately you were traveling first class: the wine reached down your throat and embraced you, caressed you, as if your esophagus was being sexually stimulated by the delicious blend of honey and velvet. Two more whites followed, and then, about eight-thirty, we started on the reds: we moved through Morey-St.-Denis, Pommard, Clos Vougeot. “What do you think?” Les asked me, waving his glass, “Cherry or black plum?” I smiled. “Les, you’re always safe if you simply say, a mix of black and red fruit.” Les nodded slowly, sagely. We were into our second hour, and he was beginning to get a little snookered. Well, he could afford to, but I was determined to keep my wits about me and define every flavor, every nuance. I was keeping a legal pad on the table, making notes to share with my wife, Suzanne, when I got home. “Les,” I said to him, “it’s amazing how sloshed we’re getting, considering the tiny amount they pour us—now what’s this?” Mr. Johnnes had been announcing the line-up. 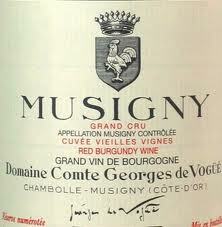 Now he held up a magnum with a yellow-beige label: “Musigny, Vieille-vignes,” he told us. “Nineteen-sixty-nine. From the Comte de Vogue.” The waiters began circling the table, pouring perhaps two fingers-worth into each glass. As I tilted the glass to my mouth I shut my eyes, the better to concentrate. I tilted a small amount onto my tongue… …and suddenly the room dropped away and I was standing on a river- bank, under a moonlit sky. Across the river was a church with the squat onion-spire of a Russian cathedral, and I knew instinctively that this river was the Don. The air was cool and moist and the river made a quiet whoosh as it flowed majestically along, a few yards from where I stood. The grey clouds moved slowly above my head, and I was aware of a great feeling of peacefulness. It felt both foreign and comforting and at the same time it felt like dying. “What do you think, John?” Les’s voice broke into my fantasy. “Raspberries and black cherries?” I thudded back to reality with a jolt –there was the restaurant, the twenty men, Les to my left, looking at me quizzically. “Les, I…I…” It was actually difficult to speak. I had been yanked back from something immense and profound. And it was the wine, this Musigny, that had done it. I needed to tell Suzanne. However, when I got home, Suzanne kidded me about my experience (“You Winos, you’re on another planet.”) I explained the extraordinary vision I’d had, but she was skeptical. “You were drunk, that’s all.” This irritated me: “I was NOT drunk, I deliberately made sure to stay sober so I could record my impressions!” To avoid an argument, she finally acceded. I felt dissed. “Wait’ll it happens to you,” I chastised her. She was about forty years behind me in terms of tasting, so what did she know? To keep herself on an even level with me, she would, through the next two years, make a remark which bordered on the snide: “Oh, John here claims he can detect nutmeg and notes of underbrush in cream soda. Even when he’s drinking water, he swirls the glass.” My smile would grow tighter and I’d say to myself Just you wait, Henry Higgins, just you wait. And then we got to Paris. 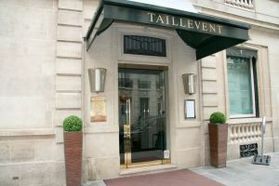 We’d saved our pennies to blow on one extravagant meal, and we chose Taillevent. 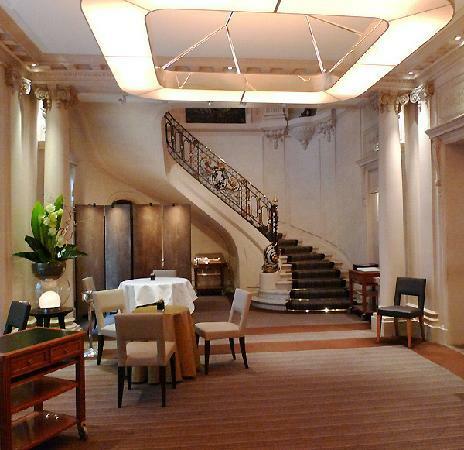 The restaurant is housed in a mansion just off the Champs-Elysees. There’s a feeling of expansive graciousness that you don’t get in any U.S. restaurant. The waiter was perfect: a smiling formality that let you know you were in good hands, without being overly familiar. Then came the wine steward: they were pouring something special tonight as a bar wine, he said -an Auxey-duresses rouge from the Comte Armand; would we care to try a glass? Well, I knew the producer was one of the best in Burgundy, yet the vineyard location -the appellation- was an extremely minor one, about the third rung up on a hierarchy of ten. But, if good, it would be a value, and save us the expense of a bottle, which, in this place, would cost a lot. “D’accord,” I said, and a moment later two glasses were set on our table and the steward returned with the bottle, carefully displaying the label. He poured, and we each took a sip. Mmm. Very good. In fact surprisingly so. In fact, there seemed to be a lot to examine in this, ha, minor wine. I sipped again, and looked at Suzanne, just putting down her glass. She was staring fixedly at the tablecloth, seemingly lost in thought. “What is it, honey?” I asked her. She didn’t change her focus, she spread her hands in puzzlement. “I hear an orchestra,” she said, with an expression of wonder. “It sounds like Scarlatti; shh, please, I need to concentrate.” Well, I had to hide my smile behind my hand. So, finally, I thought. It’s happened to you. Now we can communicate about wine…and perhaps some other things as well.